What the Hey?! Some Guy Named “James Preller” Is Featured in an Interview at Kirkus — and It’s Pretty Good! The article below came out the day before Halloween over at the Kirkus Reviews blog. It was written by the fabulous Julie Danielson, who also writes one of the best blogs in the whole dang internet: Seven Impossible Things Before Breakfast. Check it out, bookmark it, love it. Julie also has a new book out, co-written with Betsy Bird (of Fuse 8 fame) and the late, great Peter D. Sieruta. I haven’t read this one yet, by the firm of Bird, Danielson & Sieruta, but it’s high on my reading list. But enough about those guys. Let’s bring this conversation back to me, me, me. 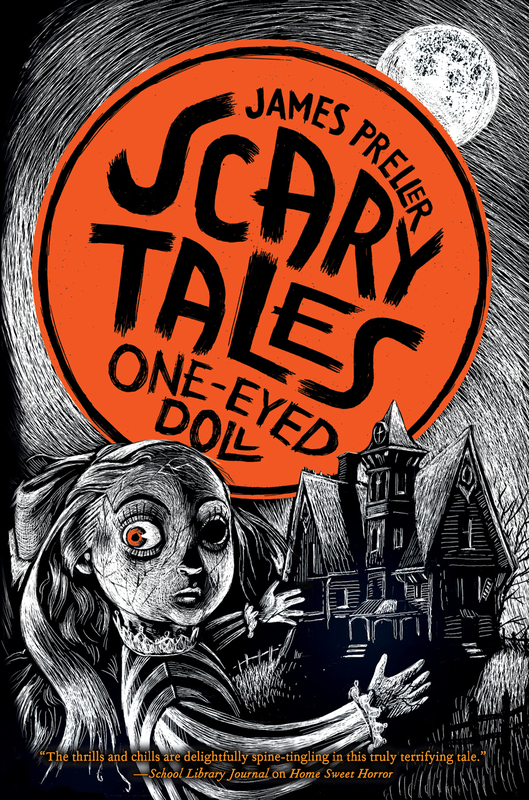 Tomorrow is Halloween, and author James Preller wants to scare your children—the safe, exhilarating type of scare, that is, which comes from a well-constructed set of spooky stories just for the younger set. He’s been doing this not just on Halloween but all during the year with Scary Tales, his chapter book series of ghost stories, launched last year and illustrated by Iacopo Bruno.Chilling and thrilling and very often spine-tingling, the series offers up serious page-turners for students who enjoy reading frightening tales while on the edge of their seats. It’s a far cry from Preller’s Jigsaw Jones series of chapter books, which debuted in 1998, the beloved fictional detective stories for children that are still circulating in libraries. 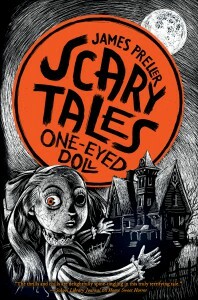 The latest and fifth book in the Scary Tales series, The One-Eyed Doll, was just released. 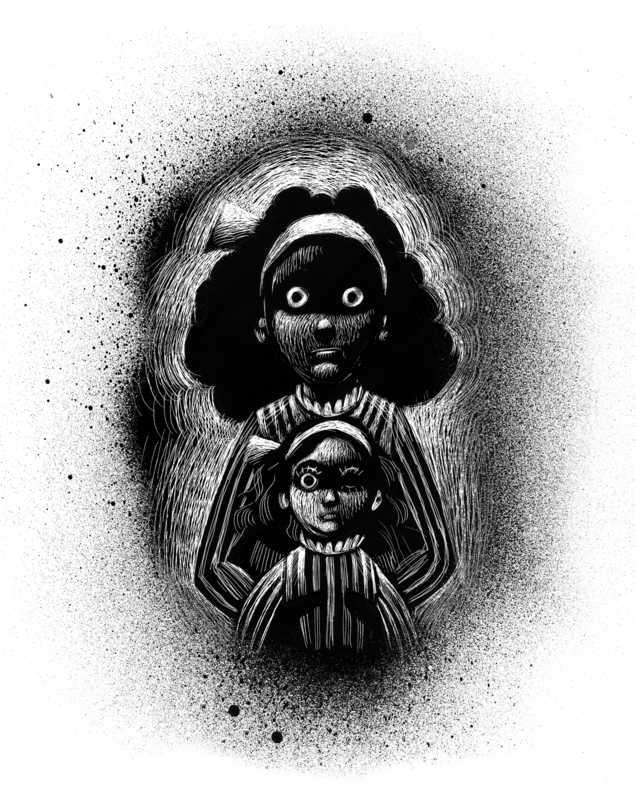 It brings readers hidden treasures, deserted houses, and a creepy one-eyed doll, who moves and tells stories. Needless to say, it’s a good fit for Halloween—or, really, any time of year.Next year, Preller will also see the release of a middle-grade novel, one that follows 2009’s Bystander, which the Kirkusreview called “eminently discussable as a middle-school read-aloud.” The Fall, as you’ll read below, addresses bullying, but not for the sake of jumping on the bullying bandwagon. That’s to say that as soon as many schools kicked off anti-bullying crusades in recent years, we suddenly saw a flock of books about bullying in the realm of children’s literature. But Preller isn’t one for the “bully” label.Let’s find out why. The Scary Tales series started in 2013, yes? How much fun has it been to scare the pants off of readers? Writing “scary” has been liberating. A blast. In the past, I’ve mostly written realistic fiction. But for these stories I’ve tapped into a different sort of imagination, what I think of as the unpossible. The trick is that once you accept that one impossible element—a zombie or a ghost in the mirror—then the story plays out in a straightforward manner.All storytelling has its backbone in realistic fiction. So many kids, even at a surprisingly young age, are eager to read scary stories. I tried to fill that gap. “Scary” thrills them. It makes their hearts beat faster. Yet I say to students, “I’m sorry, but nobody gets murdered in these books. There are no heads chopped off. No gore.” To me, the great sentence is: The door knob slowly, slowly turned. That delicious moment of anticipation, of danger climbing the stairs. I’ve tried to provide those chills, while still resolving each book in a safe way. You do a lot of school visits, as I understand it. What do you see the very best teachers and librarians doing (best practices, if you will) that really get children fired up about reading? In its essence, teaching is enthusiasm transferred. The best educators seem to do that naturally—the excitement, the love of discovery. It leaks into everything they do. I think it’s about a teacher’s prevailing attitude, more than any specific activity. Speaking of school visits, I assume you still visit schools to discuss Bystander, especially given the subject matter. 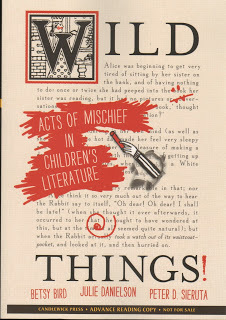 How have middle-schoolers responded to that book in school visits? The response to Bystander has been incredible—and humbling. Many middle schools have used it as their “One School, One Book” community reads, which is such an honor.I attempted to write a lively, unsentimental, informed, fast-paced story. I hope that I’ve given readers something to think about, while leaving them to draw their own conclusions. I didn’t write a pamphlet, 10 steps to bully-proof your school. Robert McKee, in his book Story, says that stories are “equipment for living.” I believe in the power of literature to help us experience empathy. What’s next for you? Am I right that there’s a new Scary Tales coming out in 2015, as well as a new novel? Working on anything else you’re allowed to discuss now? THE ONE-EYED DOLL. Copyright © 2014 by James Preller. Illustrations copyright © 2014 by Iacopo Bruno and used by permission of the publisher, Feiwel & Friends, New York. Julie Danielson (Jules) conducts interviews and features of authors and illustrators at Seven Impossible Things Before Breakfast, a children’s literature blog primarily focused on illustration and picture books.